Windows 7 search improvements are one of the new Windows 7 functionalities and enhancements for Windows users. This new group of Windows Search tools improved for making search easier for users are one of the powerful Windows 7 tools. With Windows 7, you are getting a better desktop search tool. Especially when you think Microsoft Windows 7 and Microsoft Internet Explorer 8 as parts of a whole, you can imagine the improvements in search tools in Windows 7 environment for users. Microsoft is working to make one of the above Windows 7 search options will be one of your favorite search tool. The first of Windows 7 search tools is the IE8 Instant seach box. Microsoft Internet Explorer 8 introduces the Microsoft Instant Search Box which returns the search results as the Windows user types the search query text as input. The instant seachbox works integrated with powerful search engine providers in the market like Amazon, Wikipedia, Yahoo, Google and Bing, the search engine of Microsoft. Microsoft Internet Explorer 8 Search box also enables Windows users to search within the IE Browsing History. Of course it is needless to say that Microsoft is improving Microsoft Instant Search concept with MS Internet Explorer 9. As the second of Windows 7 search tools, Windows 7 lets Windows users to use the Windows Start as a search box. 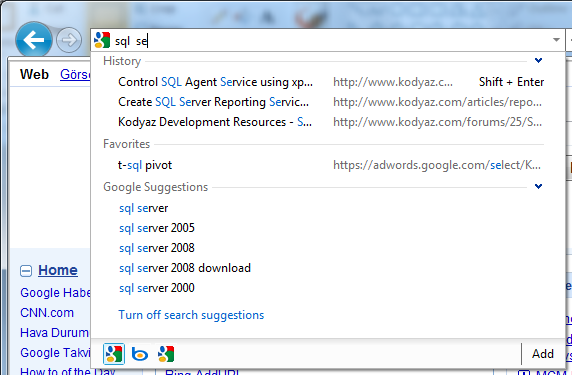 While Windows users type the search text into the textbox, a list of instant search results will be displayed. While typing you can select the item if it is the program, document, image or song that you are looking for, you are able to open it, or execute it directly from the instant search results list. The search from the Windows Start looks into your PC, even into external hard disks to search what you are looking for. I guess you have used desktop search tools before to find out the files that you are looking for faster. And I'm quite sure Windows users will be satisfied with results of this new desktop search tool for Windows 7. If you are looking for a file that you have worked on it using a program like MS Office programs, Word, Excel, etc or any other program like Windows Media Player, it is easy to find it using Windows 7 Jump Lists. When you right-click mouse on a program name or on the program short-cut icon on the Windows 7 task bar, a new Windows 7 tool called Windows 7 Jump list will be displayed showing the pinned files, recent documents lists, the documents that you have worked on recently or frequently. Windows 7 Jump List can considered an improved tool that can be used like the Recent Files menu item in many software applications. This will be a helper to you preventing you before start a new Windows search on your computer. Windows 7 Jump List is an alternative search tools in Windows 7. Windows 7 Libraries are new Windows 7 tools which enable Windows users to create a logical library of related files. These related files, like Microsoft Office documents, photos, or music files can be stored in many different locations. Library items can be stored in your PC's internal disks, or external drives, flash memories or event on network shares. 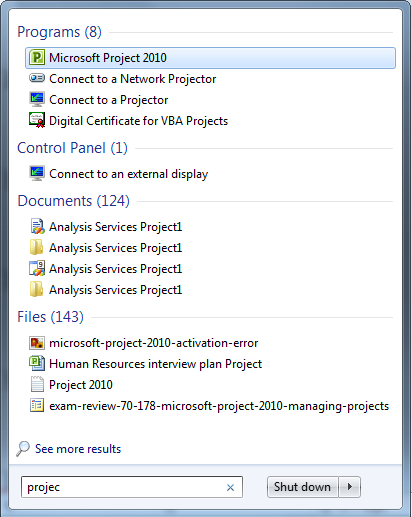 A Windows 7 library groups and displays files from a single GUI unit even all files are in different places, enabling Windows users to find files that they are searching for more easier. This is also one of Windows 7 search options alternative to desktop Windows search. For more how-to information about Windows 7 Libraries please refer to Windows 7 Libraries explained tutorial. As a summary new Windows 7 tools like the search tools will make the life easier for many users. A fast and easy Windows 7 search with desktop search tools, Windows 7 search connectors and internet search tools in IE8. 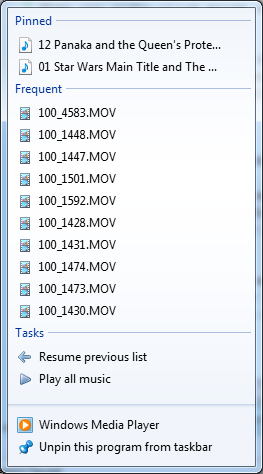 These are the new search tools in Windows 7.